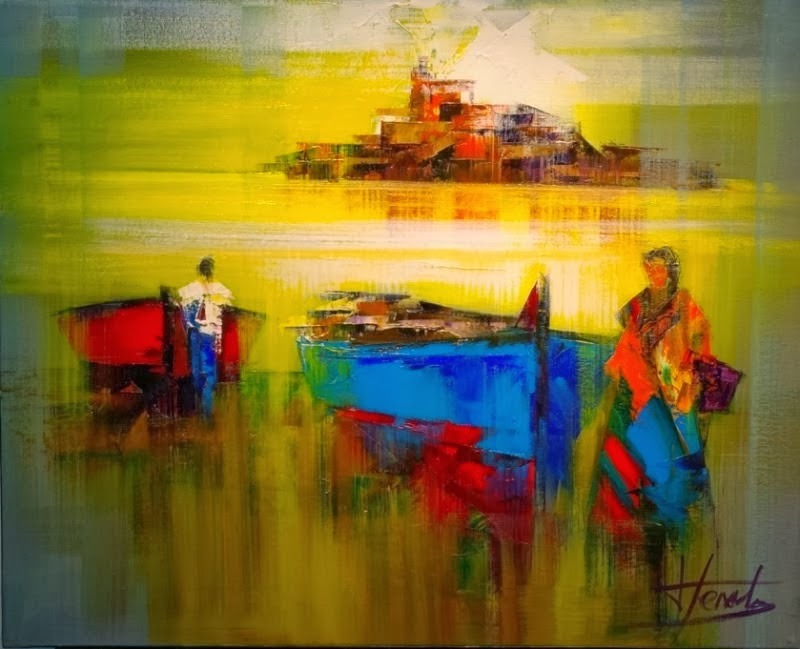 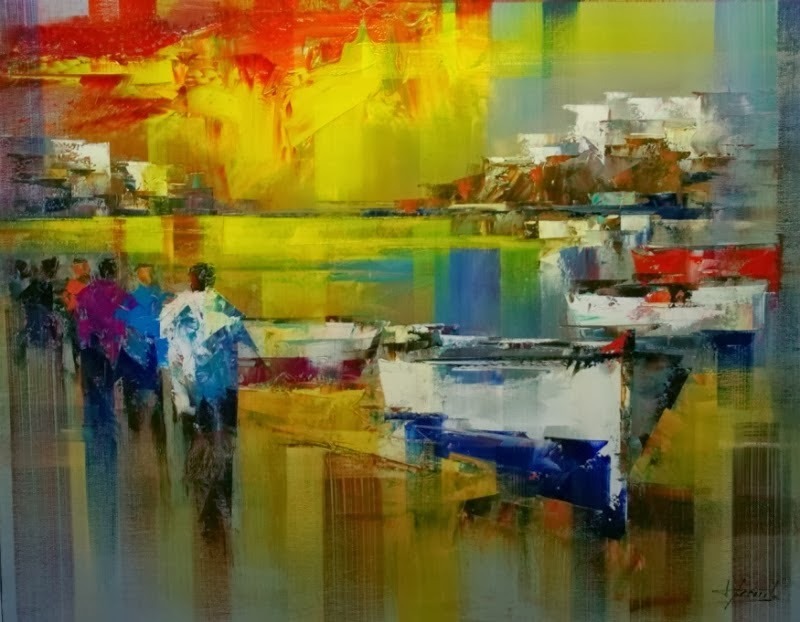 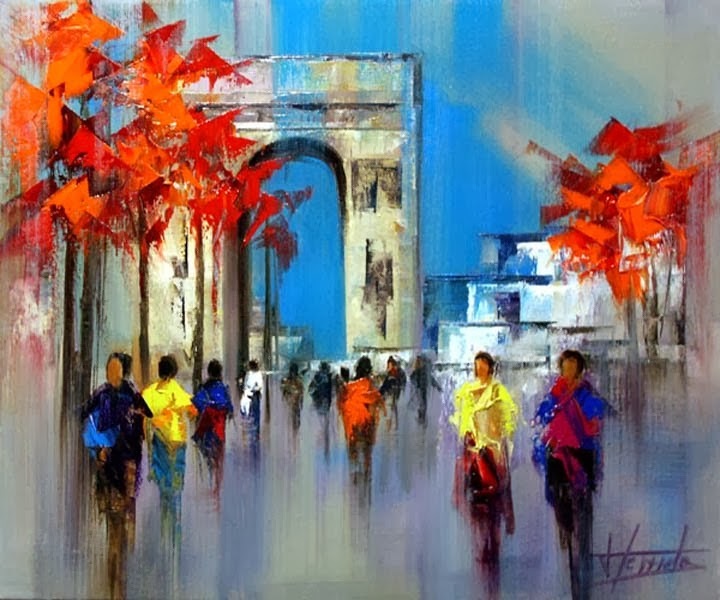 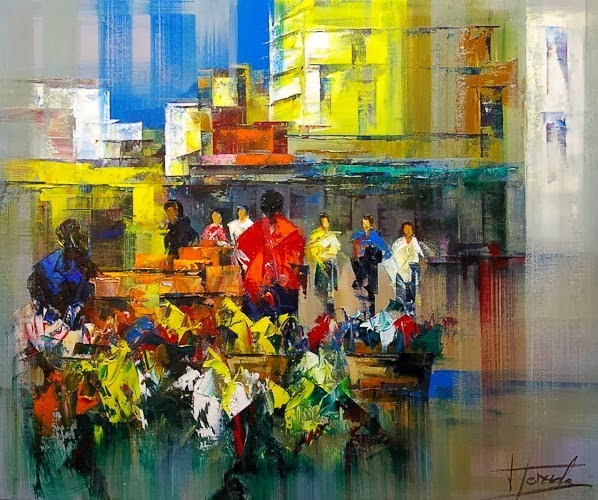 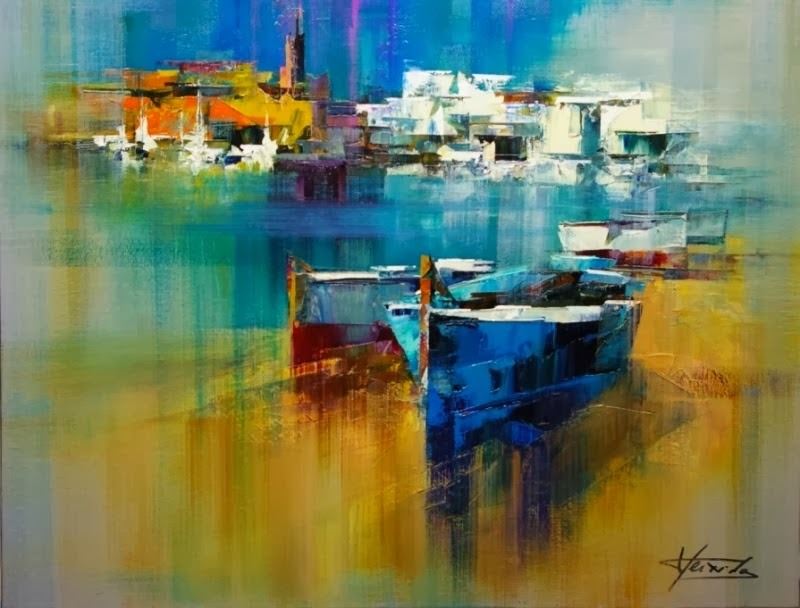 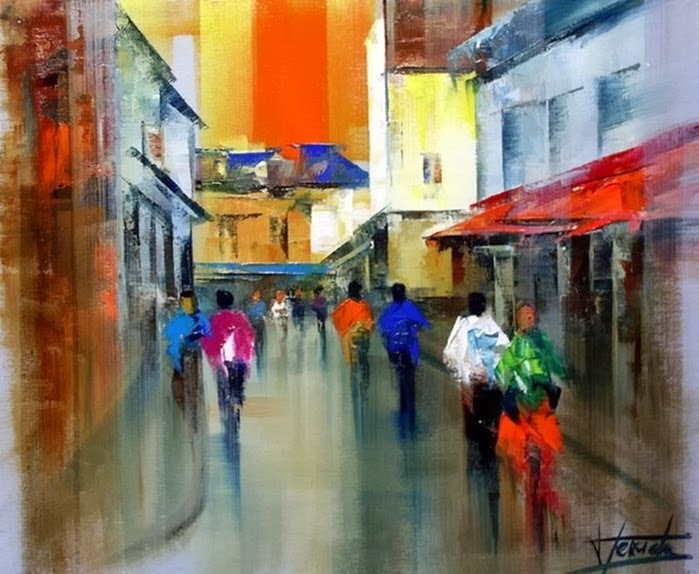 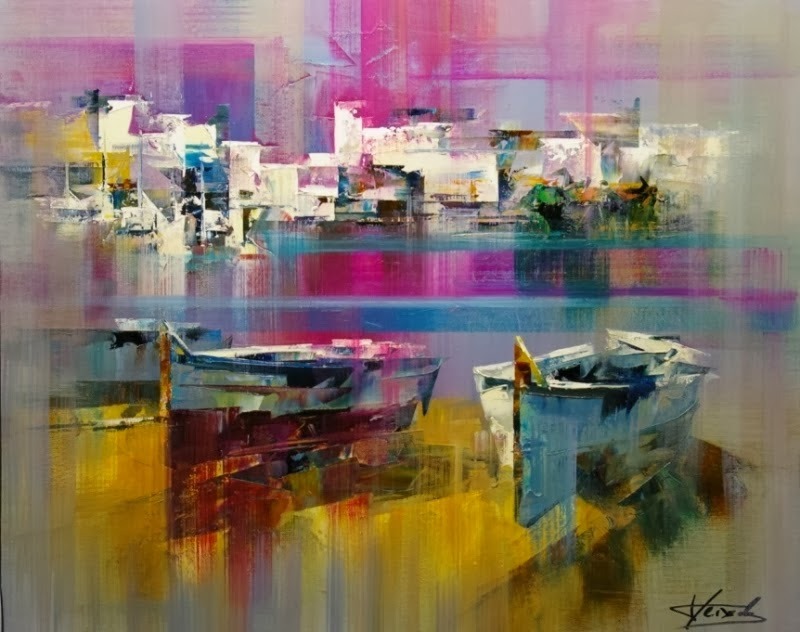 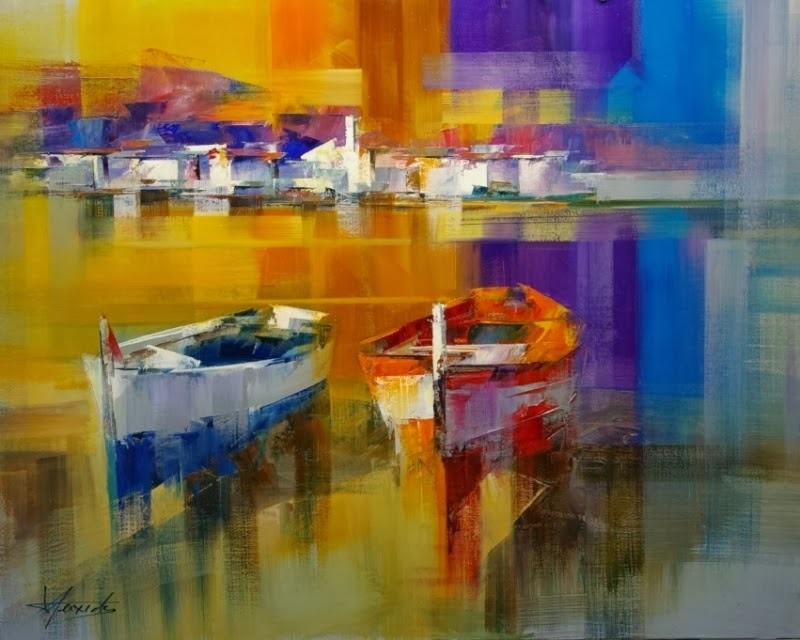 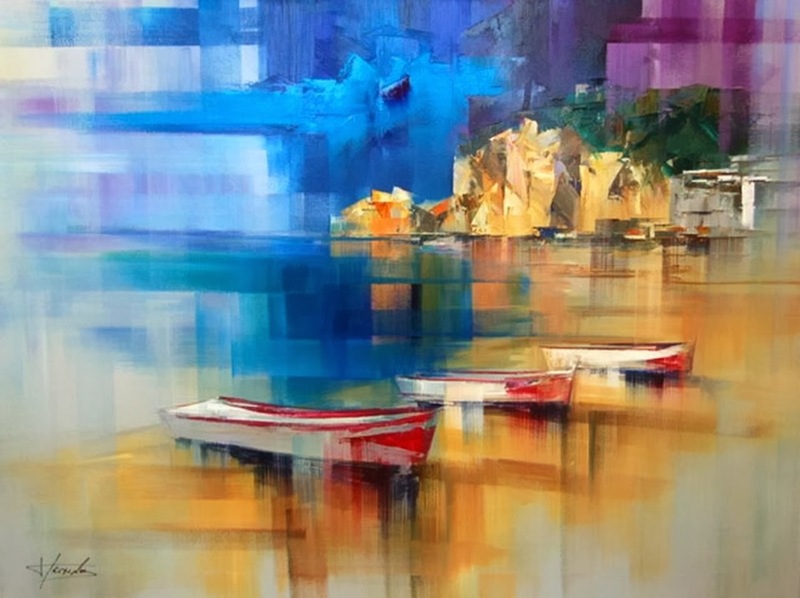 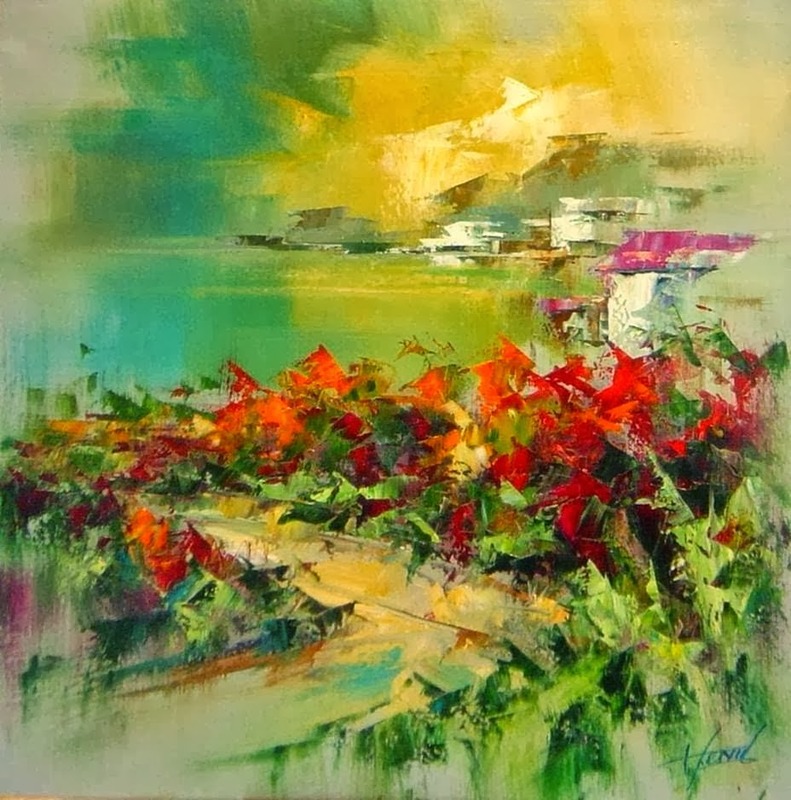 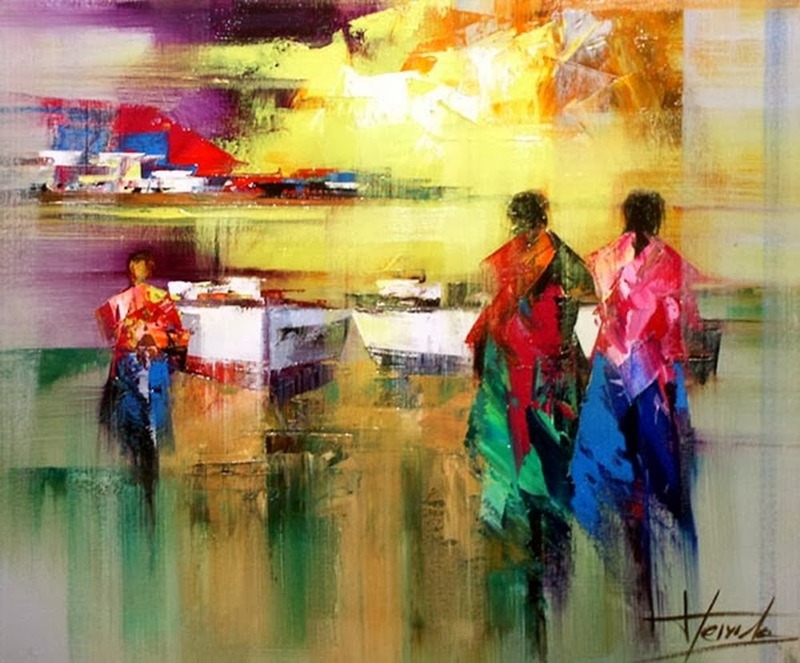 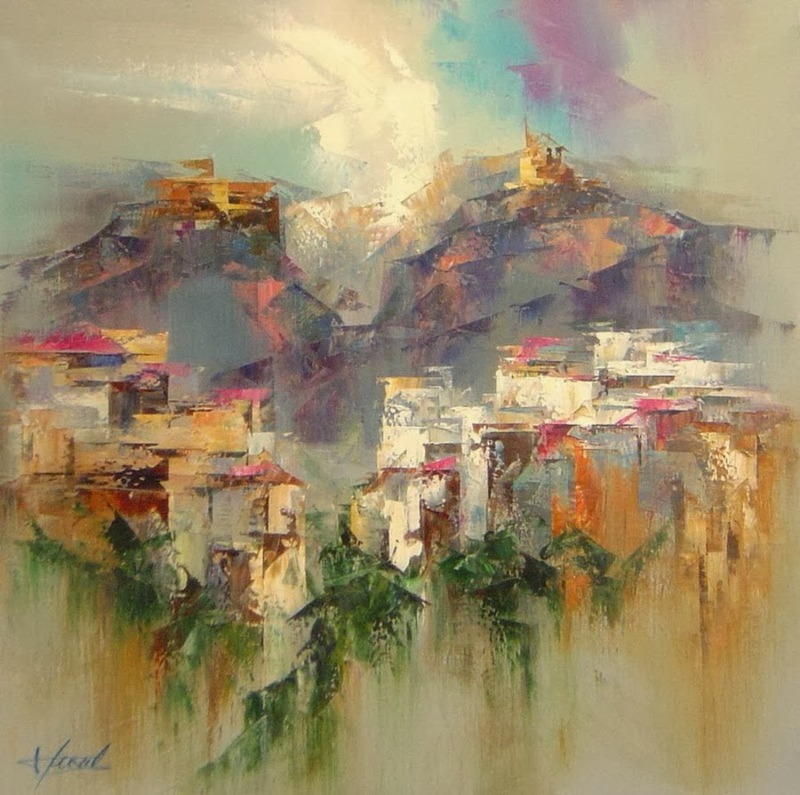 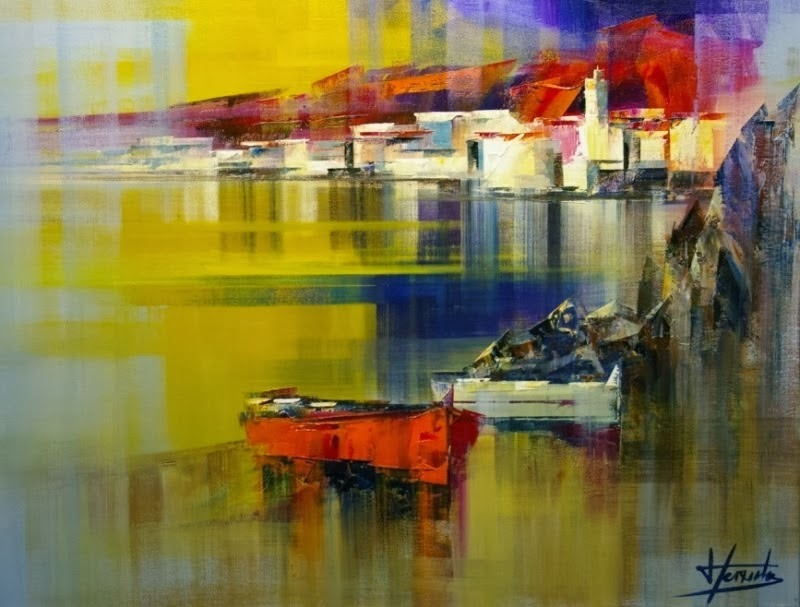 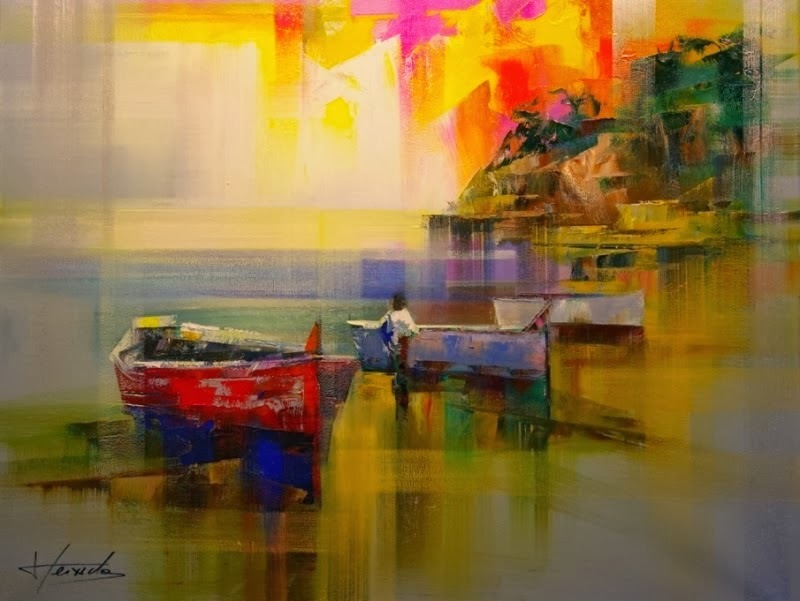 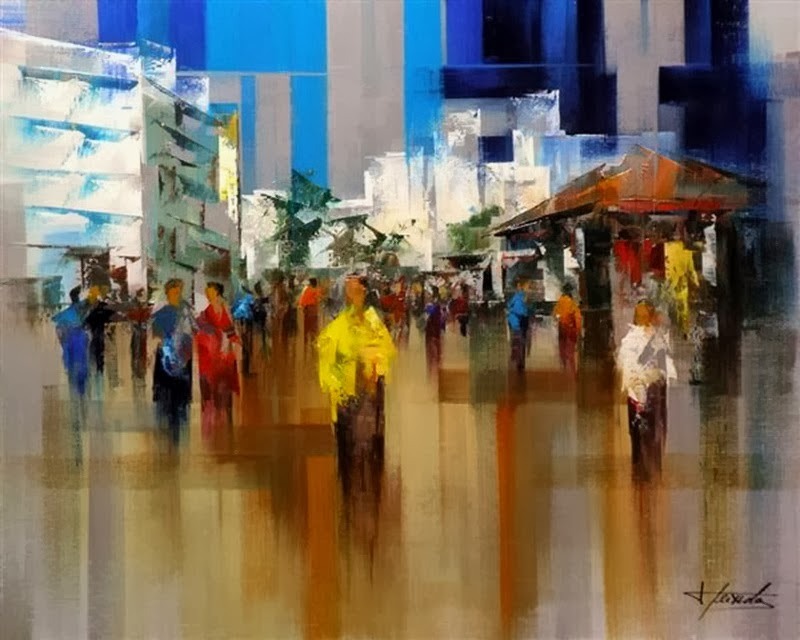 Today, I am sharing abstract palette knife paintings by one of the very talented Spanish artist and his name is Josep Teixido. 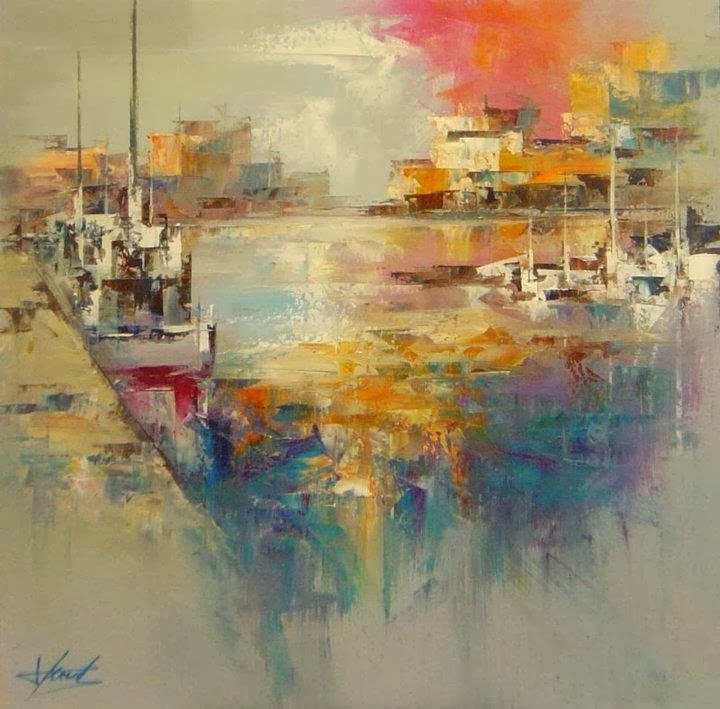 I really love the beauty of his paintings and the ease with which he draws such wonderful art works. 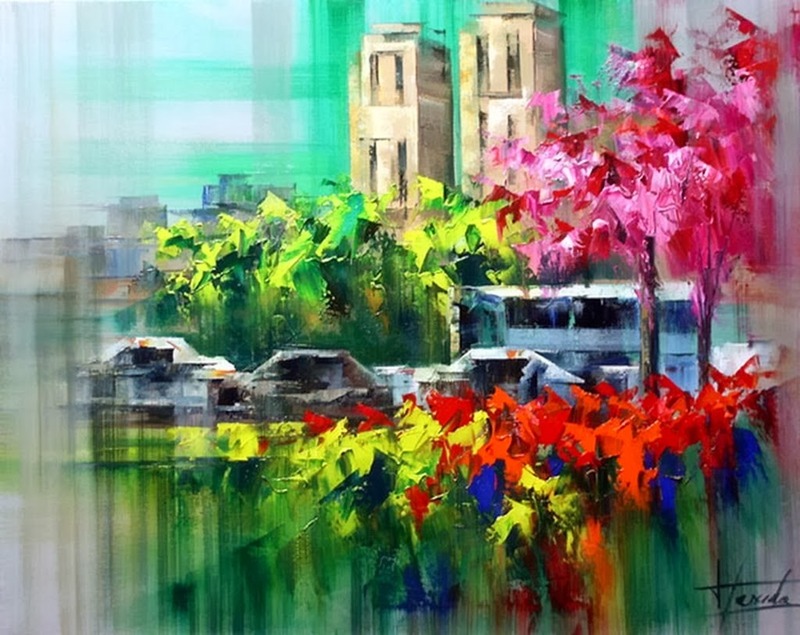 Josep was born in the 1956 and is currently living in Bacelona. 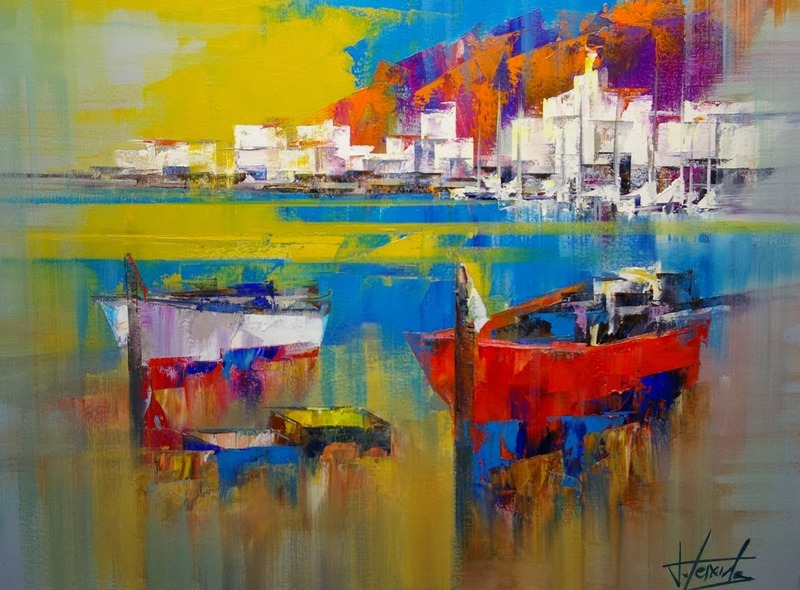 I was born in Calella, Barcelona in 1956, and nowadays I live in Vilassar de Mar, Barcelona. 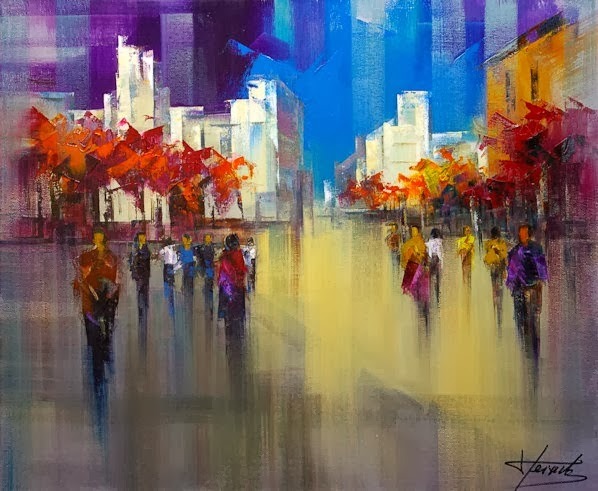 Since I was a child I have been fascinated by painting and I think I'm a self-taught painter because, despite I was taught drawing at Primary School, I have acquired my knowledge thanks to my environment. 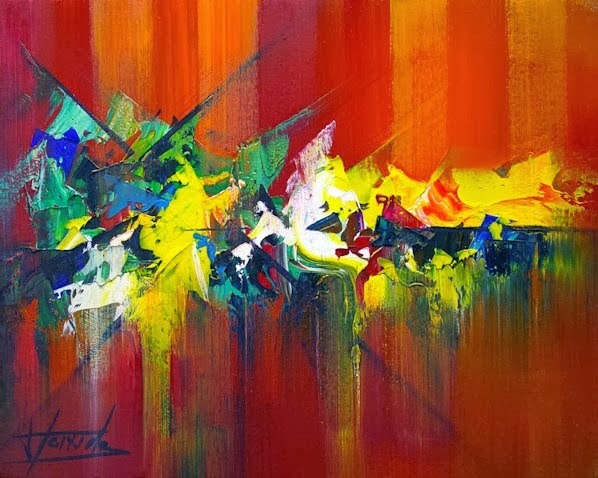 Painting is my own way to express myself. 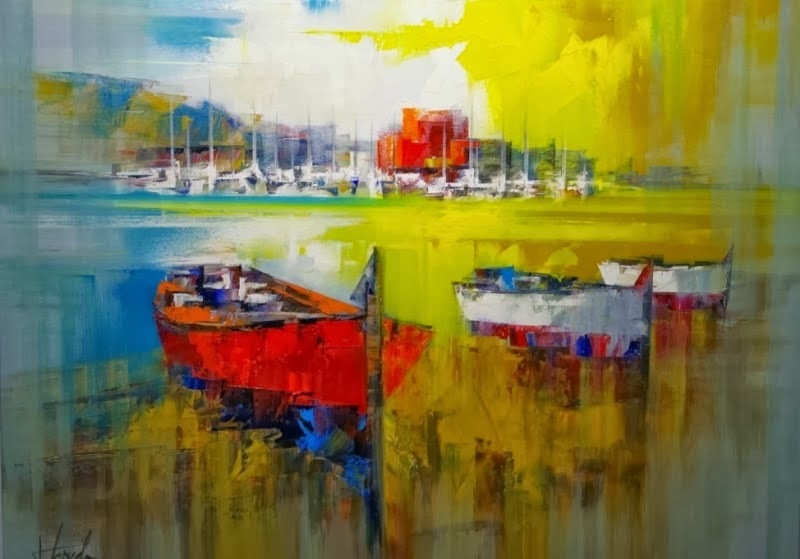 I can shape my inward in the canvas with the essential help of the palette knife and the colors. 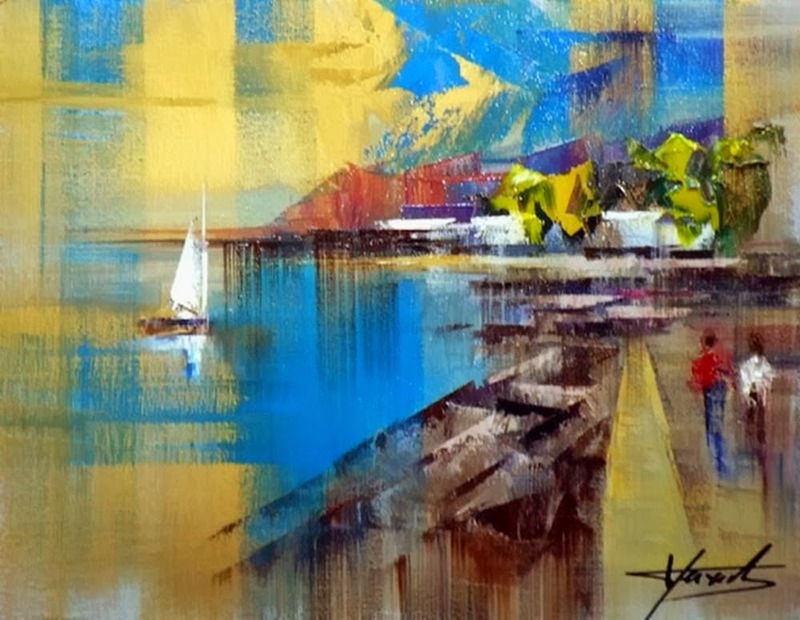 As a nature’s lover and great observant, my environment has always been my source of inspiration. 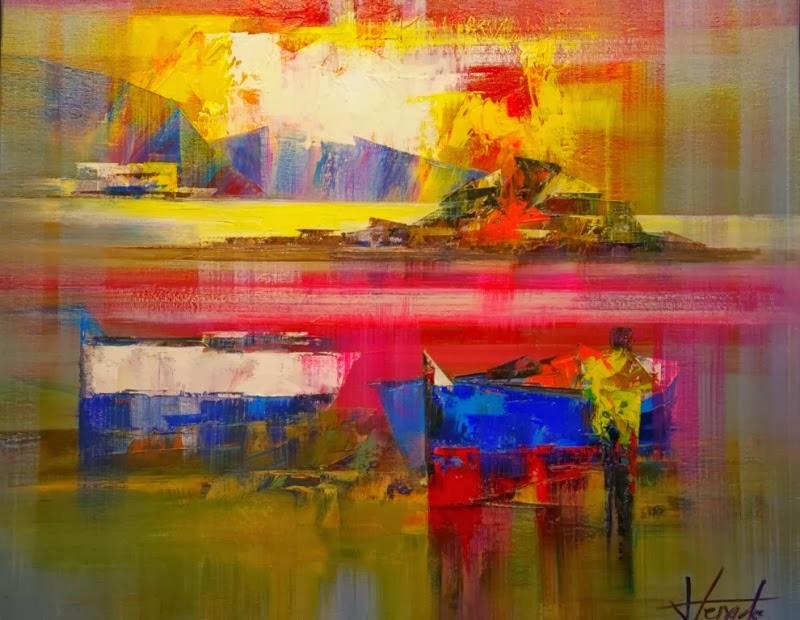 At present I devote myself exclusively to painting, my true passion, and that is why I feel extremely fortunate.